Banner Image: South Sea Islanders refers to Australian descendants of people from more than 80 islands in the Western Pacific – including the Solomon Islands and Vanuatu (formerly the New Hebrides) in Melanesia and the Loyalty Islands, Samoa, Kiribati, Rotuma and Tuvalu in Polynesia and Micronesia – who were kidnapped or recruited between the mid to late 19th century as labourers in the sugarcane fields of Queensland. Melanesian men, women and children mustered outside the Cairns Court House, 1906. They are waiting to be examined by doctors prior to being shipped back to the islands their people originally came from. This was the first mass deportation of coloureds from Australia. With this re-entry permit, Charlie Darrasool could visit his people in the New Hebrides and return to live in Queensland because he was married to an Australian national, an anglo-aboriginal.The Pacific Islanders Labourers Act of 1904 allowed kanakas who had married Australians to stay. follow federal parliamentary debate. Also note Qld's separatist stance. South Sea Islander and Asian workers State Library of Queensland. 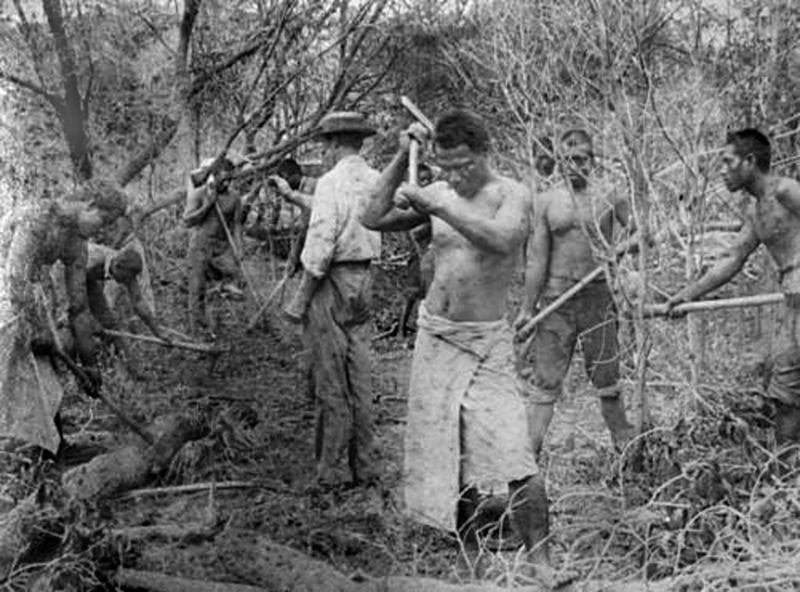 Archival photographs of South Sea Islander and Asian workers at various occupations in Queensland in the late 19th and early 20th centuries.